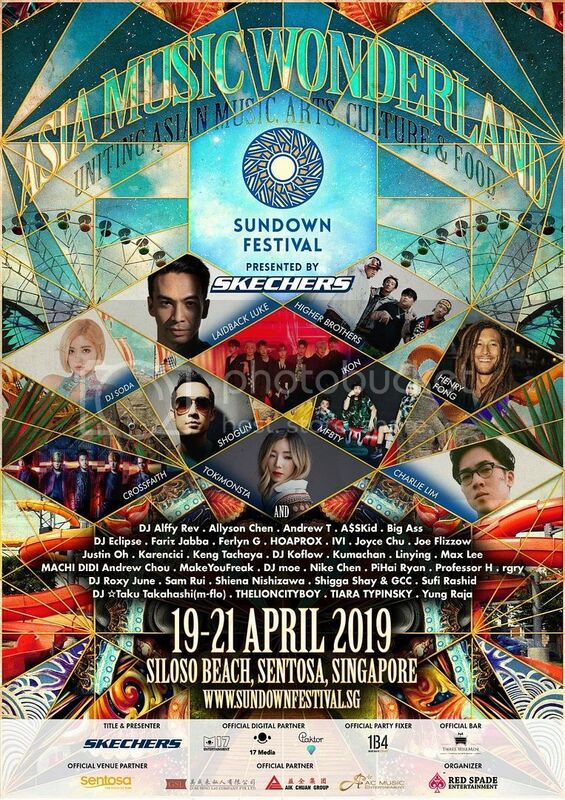 Skechers Sundown Festival is back and it will be taking place from 19 to 21 April 2019 at Siloso Beach Sentosa. Expect 3 days non-stop fun and partying with more than 50 music artistes on 3 stages over 3 days, curated art installations, film screenings, market bazaar, street food and fringe entertainment. 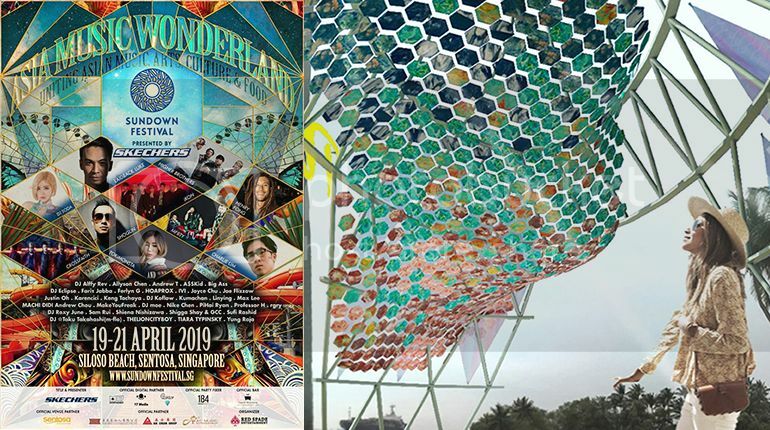 On top of the music, food, and all the partying that will be going on, Skechers Sundown Festival will be having an art installation that is focused on recycling and sustainability. 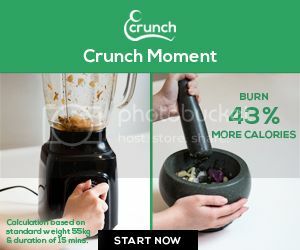 The issue of environmental pollution, in particular, plastic pollution has been drawing much attention internationally with many reports of sea creatures being harmed due to plastic waste in the ocean. Therefore, the organisers of Skechers Sundown Festival decided to include an art installation to drive home the message of reducing and reusing plastic. Plastic Fantastic forms the public gateway into the Sketchers Sundown Festival 2019. The design explores how architecture can play a role in contributing towards cleaner and safer oceans. 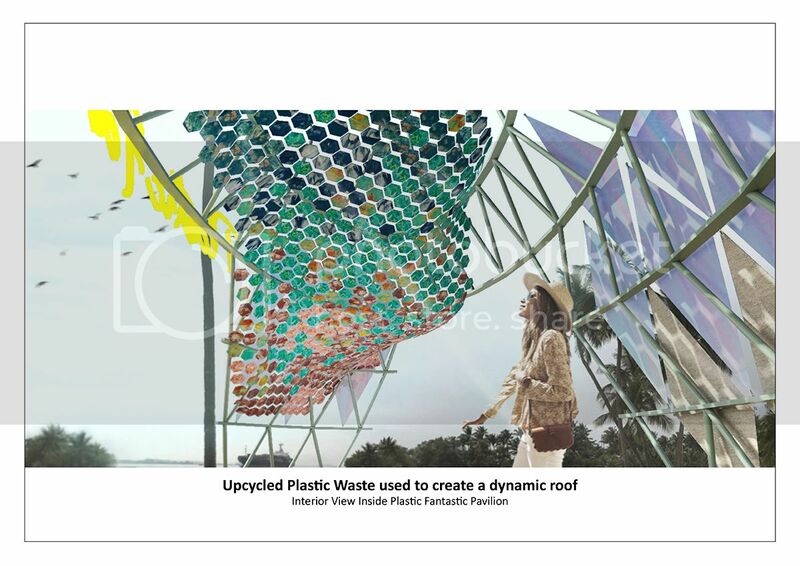 They created a pavilion that not only actively helps to reduce the amount of plastic waste, but also to raise public awareness of the urgency of the situation that is for our generation to take action in order to protect and better preserve our oceans’ eco-systems. 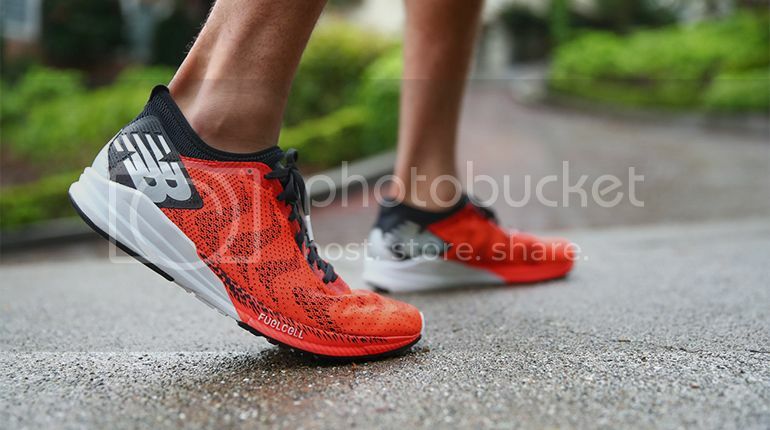 As Skechers Sundown Festival 2019 is held on Sentosa Island, which shares the same water as the ports and shipping lanes, Julian Huang wanted to use this opportunity to design something that can actively engage with some of the issues mentioned above. 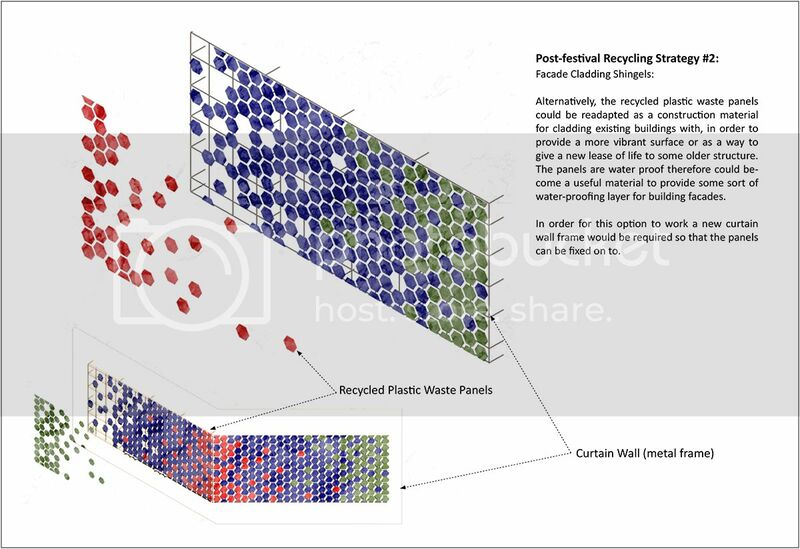 Furthermore, as a high number of festival participants are expected to attend, the organisers are anticipating a large quantity of waste being generated, in particular, plastic waste, which is often associated with public events and festivals. 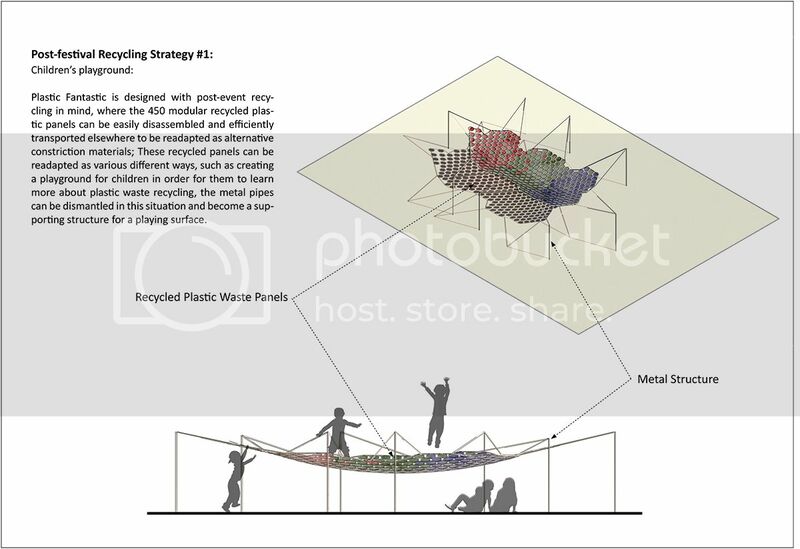 In this case, Plastic Fantastic aims to harvest and gather some of these plastic waste as participants enter or leave the event venue, instead of allowing waste to be left on the beach which some eventually finding their way into the ocean. 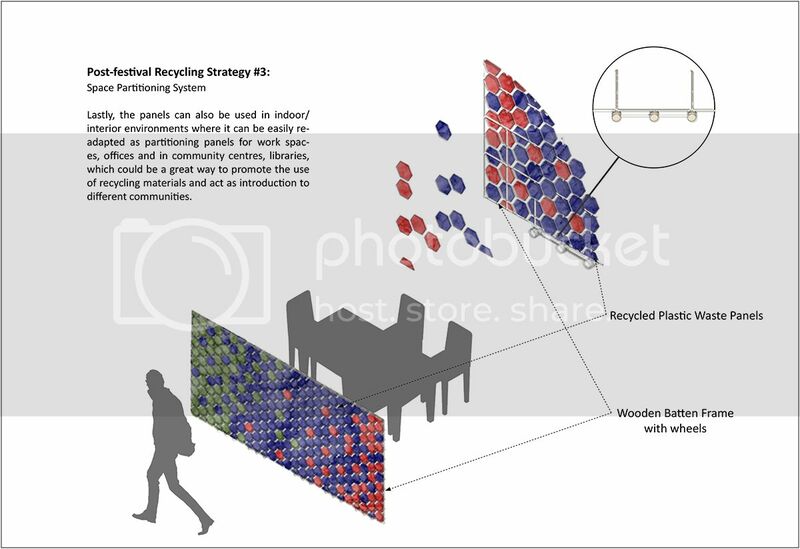 Plastic Fantastic is designed with post-event recycling in mind, where the 410 modular recycled plastic panels can be easily disassembled and efficiently transported elsewhere to be readapted as alternative constriction materials; as pieces of public street furniture, emergency shelters or playground to just name a few. In doing so, we can contribute towards a positive legacy of the Sundown Festival. Skechers Sundown Festival is back for its 10th edition and the biggest one to date. Held over 3 days from 19 to 21 April at Siloso Beach Sentosa, the festival brings us an exhilarating line-up of music performances and art installations. Evolved into a larger-than-life 3D2N party, Skechers Sundown Festival has musically united 11 countries from around the region and the stages are set to be lit. 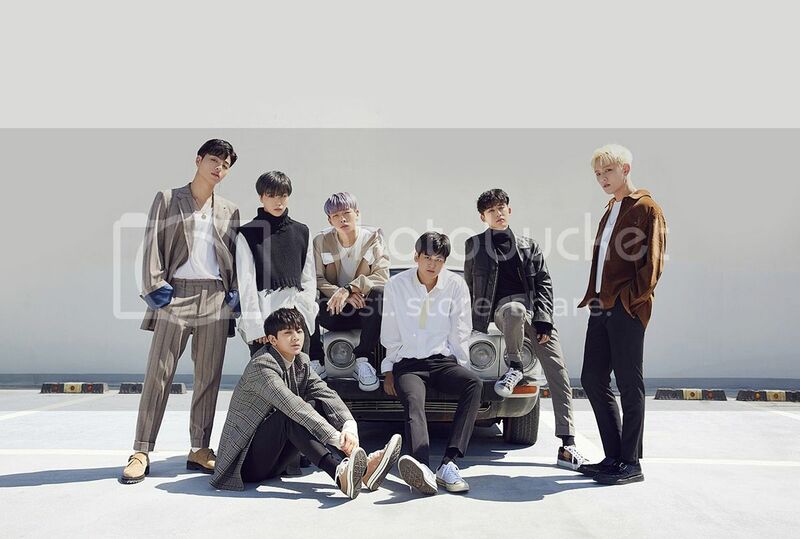 Look forward to performances by iKON and MFBTY from South Korea, Crossfaith from Japan, DJ Laidback Luke from the Philippines, Higher Brothers from China, and Charlie Lim from Singapore. These are just the tip of the iceberg and there are many more talented artistes rocking the stages on those 3 days. Find out more and purchase tickets to Skechers Sundown Festival at https://sundownfestival.sg. All images credit: Skechers Sundown Festival unless otherwise stated.